This is my second post with respect to coppock indicator. 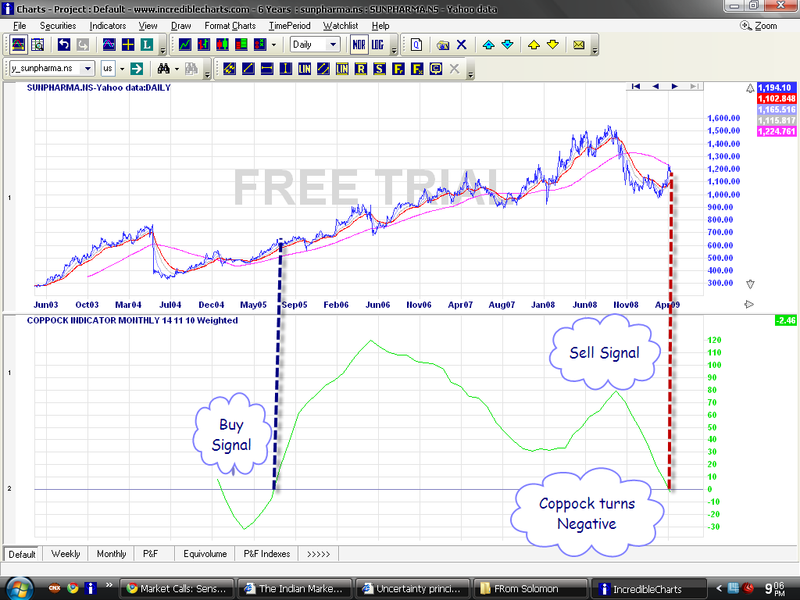 For those who are new to coppock indicator. here is a simple introduction to the indicator. until coppock stays above zero and vice versa for bear market. Chart shows that Coppock indicator turns negative last week which shows that bull market for the coppock ends. More over Sunpharma is facing huge resitance near 200 day Moving average line.